I’m a long-time fan of the breakfast casserole, but rarely see a recipe that doesn’t call for a plethora of high fat ingredients. So I came up with a recipe of my own – it’s been pre-approved by my hubby and the kids! For a can’t miss breakfast this Father’s Day, don’t forget the sausage. I’m lucky enough to serve on the advisory board for Applegate and the better-for-you options are endless. I like using diced sausage patties for this recipe but links work well too. Make this recipe up to 24-hours ahead and store in the refrigerator. 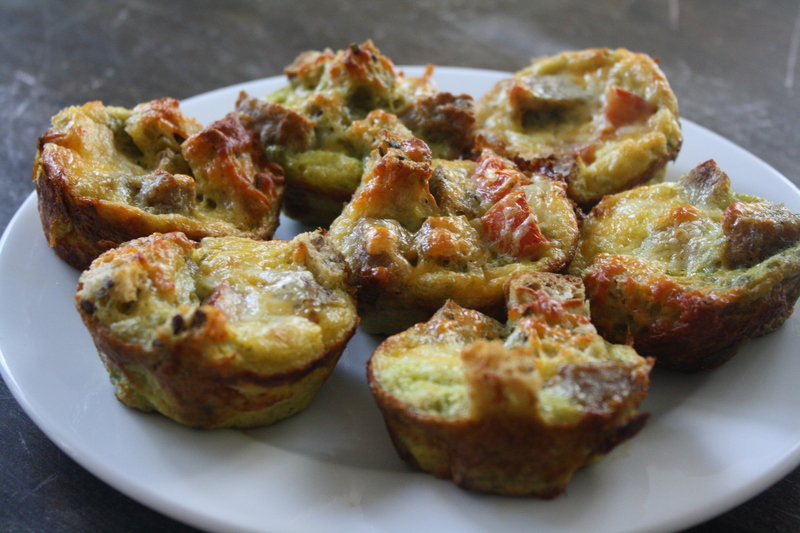 Freeze leftovers for a quick weekday breakfast. Preheat oven to 350 degrees F. Spray the muffin pan with nonstick spray. Evenly distribute bread and sausage in each cup; set aside. Combine eggs, half & half, and basil to blender; season with salt, hot sauce and pepper — blend for 30 seconds. 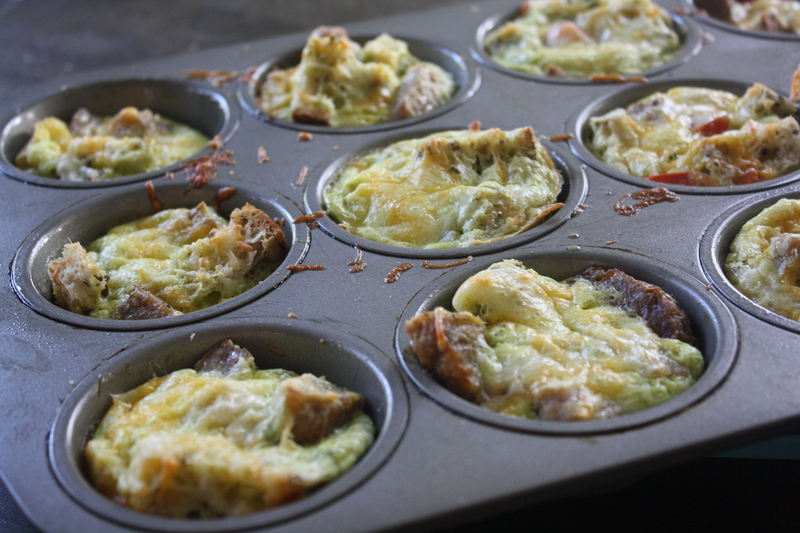 Pour egg mixture into muffin pan, filling each cup about two-thirds of the way; sprinkle with cheese and tomato. Bake for 15 minutes or until eggs are set. Remove from the oven and allow to cool for at least 15 minutes before serving.